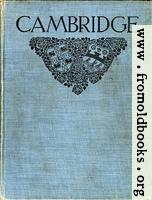 Cambridge and its Story by Charles Williams Stubbs, D.D., Dean of Ely [later Bishop of Truro; 1845 – 1912], with twenty-four lithographs and other illustrations by Herbert Railton, the lithographs being tinted by Fanny Railton. London: J. M. Dent & Sons Ltd., Aldine House, Covent Garden, 1912. 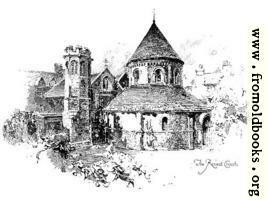 Fanny Railton was Herbert Railton’s wife, and was known as an illustrator of children’s books. I do not know when she died. Would be judgment enough for me. There is also an entry in the Nuttall Encyclopædia for Charles William Stubbs. Published by: J. M. Dent & Sons, Ltd.